Will Trump Withdraw from NATO? It’s no more likely than the sun henceforth rising in the west once he’s inaugurated. “We’re paying disproportionately. It’s too much…(I)t’s a different world than it was when we originally conceived of the idea…(M)aybe we have to pay a lot less,” other countries more. That’s not what I said. I said you’ve got to pay your bills. And you know what? If they can’t pay their bills…they’ve got to go. Because we can’t do this. What he and others in America and Europe never explain is why the alliance is needed when its only enemies are invented ones. No countries anywhere threaten Western nations. ISIS and other terrorist groups are US creations. End support and they’ll fade away. They can’t exist and flourish without foreign help. Humanity would be much safer if NATO disbanded – not the other way around. Yet Secretary-General Jens Stoltenberg’s staff reportedly drafted a secret report, dealing with America possibly leaving the alliance, ending it in its current form. Separately, Stoltenberg said NATO “allies have made a solemn commitment to defend each other” – against what he didn’t explain, failing to acknowledge no known threats exist. Claims about “Russian aggression” are baseless – one among other phony reasons to justify NATO existence. When the Berlin wall came down in 1989, followed by the Soviet Union’s 1991 dissolution, the alliance should have been disbanded. Instead, it expanded from 16 to 28 members, 22 partners, seven Mediterranean Dialogue allies, four Istanbul (Gulf) Cooperation Council Initiative states, and eight other global partners. 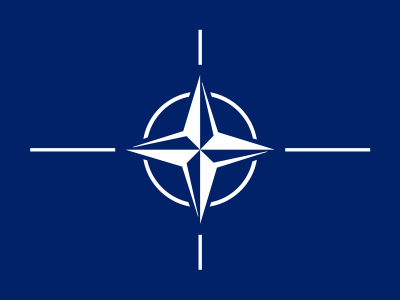 Stop NATO’s Rick Rozoff earlier called the alliance a “global missile” aimed at humanity’s heart, a killing machine planning expansion on every continent, threatening world peace, stability and security. It works cooperatively with the UN, EU, and Organization for Security and Cooperation in Europe. As long as NATO exists, world peace is unattainable.